Goodreads: In the aftermath of her financier husband's suicide, Emma Shay Compton's dream life is shattered. 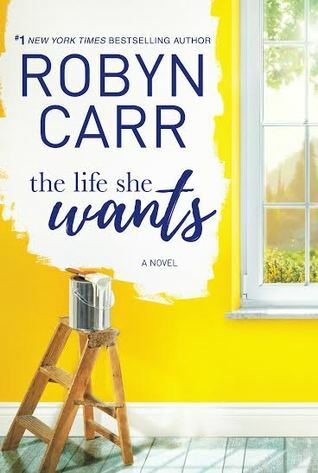 Richard Compton stole his clients' life savings to fund a lavish life in New York City and, although she was never involved in the business, Emma bears the burden of her husband's crimes. She is left with nothing. Only one friend stands by her, a friend she's known since high school, who encourages her to come home to Sonoma County. But starting over isn't easy, and Sonoma is full of unhappy memories, too. And people she'd rather not face, especially Riley Kerrigan. Riley and Emma were like sisters—until Riley betrayed Emma, ending their friendship. Emma left town, planning to never look back. Now, trying to stand on her own two feet, Emma can't escape her husband's reputation and is forced to turn to the last person she thought she'd ever ask for help—her former best friend. It's an uneasy reunion as both women face the mistakes they've made over the years. Only if they find a way to forgive each other—and themselves—can each of them find the life she wants. Kritters Thoughts: A wonderful stand a lone from Robyn Carr and I love these books to intermix them as we wait for the series to continue! Emma Shay Compton is returning her hometown after her world was turned upside down as her husband was found guilty of a ponzi scheme and no one can imagine that she was clueless through it all - so essentially she has been found guilty by public opinion. I love when books are pulled from the headlines but really expanded upon and made bigger than a news story can make them. I also loved that the ponzi scheme already occurred and this is the after. I am so glad Carr sent her home, but life at home wasn't sunshine and rainbows, there was unresolved drama there, but nothing over the top! I loved that she had to resolve the drama within her from the failed marriage and also what she ran away from home at the same time and I think resolving them both made her such a fierce woman. I love Robyn Carr! When I hear she has a new one coming out, I know that I will love it and the characters will be so worth the journey! Disclosure of Material Connection: I received one copy of this book free of charge from Little Bird Publicity. I was not required to write a positive review in exchange for receipt of the book; rather, the opinions expressed in this review are my own.